UFO SIGHTINGS DAILY: CNN Asks UFO Researchers Their Personal Views On Who Is The Best Presidential Candidate? Dec 2015, UFO Sighting News. CNN Asks UFO Researchers Their Personal Views On Who Is The Best Presidential Candidate? Dec 2015, UFO Sighting News. This is odd, CNN asks UFO hunters about their personal views about who would be the best president of America. Perhaps making fun of the subject, or the fact that many people are becoming more interested than ever in the existence of aliens. Whats your views on this interview? 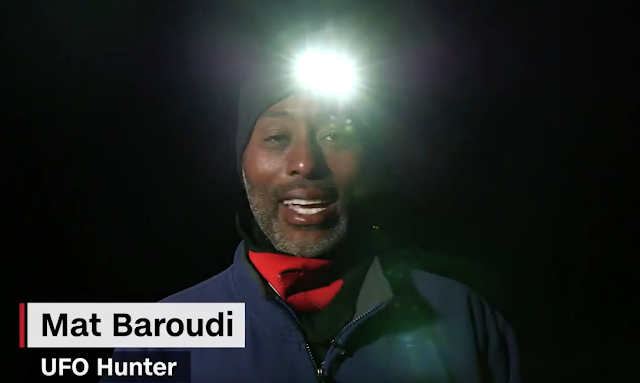 In the Nevada Desert (CNN)Once a month, a small group of hardy Las Vegans head into the mountains to look for UFOs and -- to hear them tell it -- they find them. "There is a lot of paranormal activity out here if you just open your mind and you go seek it" said B.K. Mojave as the lights of Las Vegas glinted in the distance. With Area 51 -- a capital of the UFO enthusiast community -- about a two-hour drive from where CNN is hosting its debate Tuesday, we decided to go along and see what these skeptics had to say about the wild 2016 presidential campaign. (more at source).